The Zoids franchise has been around for over thirty years, involving model kits, anime series, and more. The series is now being revitalized once again as Zoids Wild. Announced today, Zoids Wild will encompass into new model kits, anime, manga, and more. Most interesting of all, at least for us, is an entirely new game for Switch. Unfortunately, details about the title are nonexistent at present. 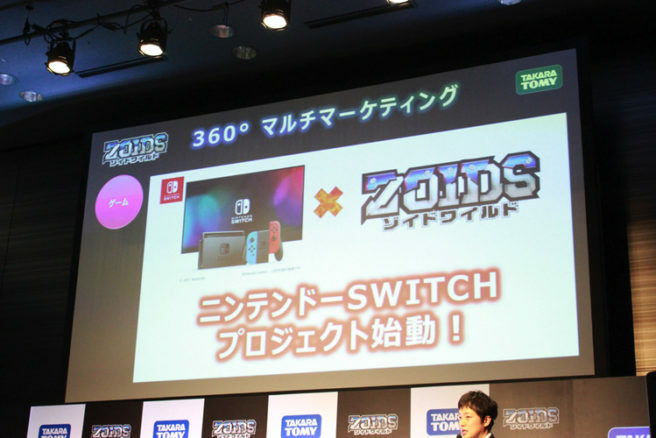 But given how the Zoids Wild cross-media project will be debuting in Japan this summer, we could be receiving details soon. Takara Tomy also has interest in expanding the new series overseas, though it’s unclear if this will apply to the Switch game.